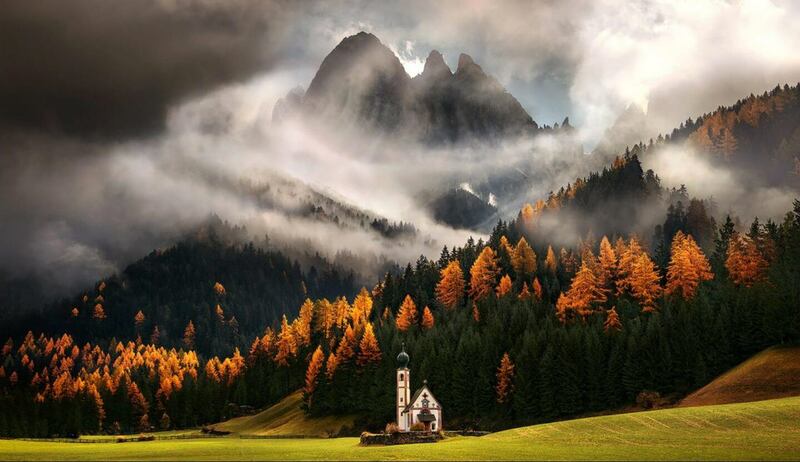 *This Dolomites Photo Tour is in partnership with Max Rive Photography. 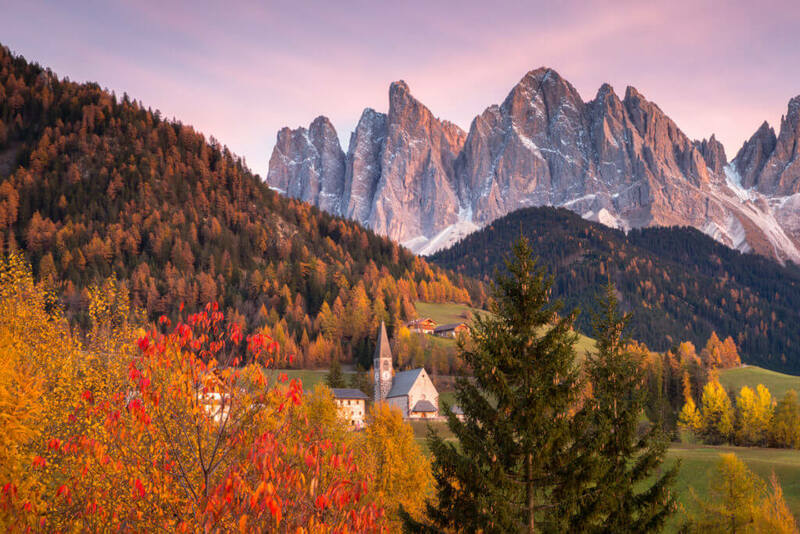 Don’t miss the chance to join this Dolomites Photo Tour next Autumn, in a trip that offers great photo opportunities beyond all expectations. 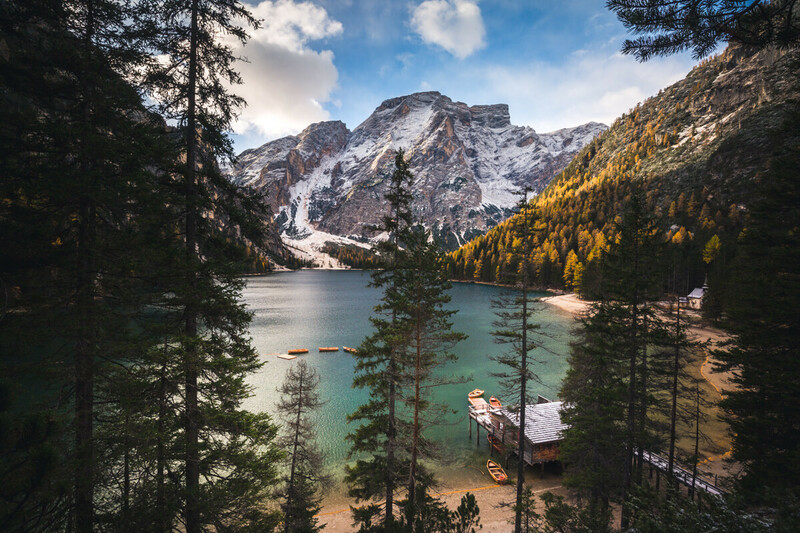 Situated in Northern Italy, the Dolomites are one of the country’s most photogenic destination that attracts photographers from all over the world year after year. The shape of these mountains is very spectacular and what makes this place an unmissable stop for photographers. Autumn is a magical time to visit, when lush valleys and churches are framed by beautiful orangish trees. After picking you up at Venice Airport around 11 am, it’s time to begin our Dolomites photography workshop. We’ll drive towards the Dolomites making our first stop at the apartment and then straight to the world-famous Tre Cime di Lavaredo. 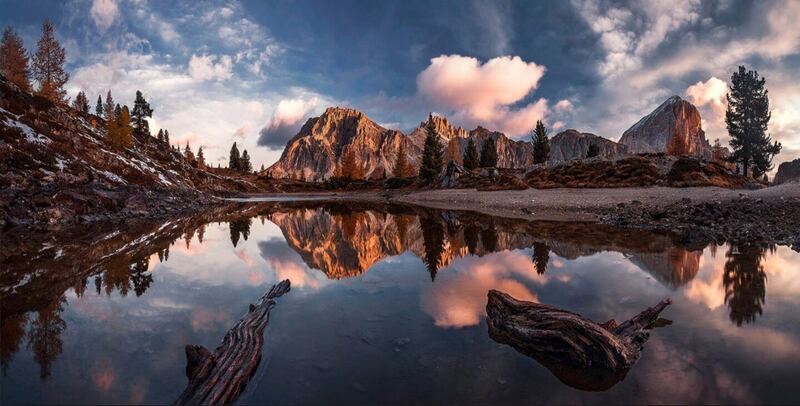 A 30-minutes easy hike will lead us to our sunset location we’ll shoot beautiful Tre Cime. Depending on the weather will stay there for possible night shooting. Ready to leave early in the morning and drive in the direction of Lago di Braies. This green colored lake is surrounded by high mountains and accessible by car, so we can spend some more time scouting for the best composition and shooting sunrise. After a rich breakfast at our apartment, we’ll continue our way towards our next apartment and reach Lago Limides for sunset. This lake is one of the most picturesque autumn destination for photography. 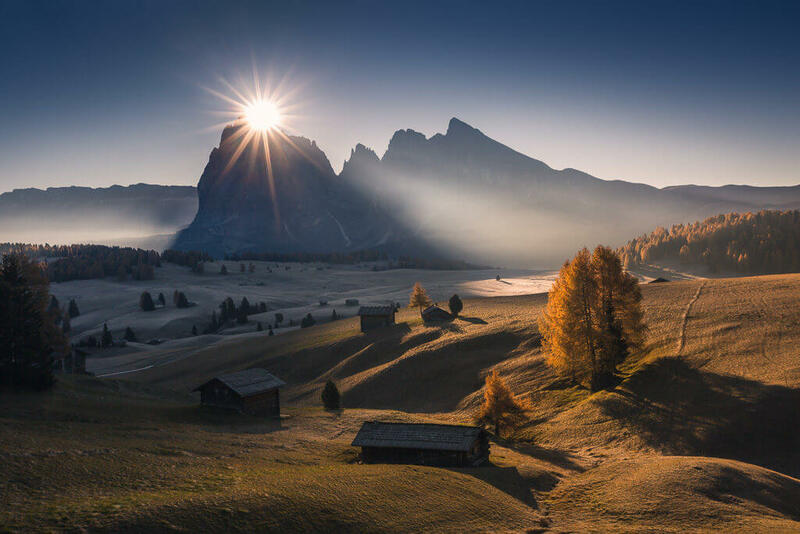 On the third day of our Dolomites photo tour we’ll be shooting the impressive Cinque Torri for sunrise. These mountains are incredible and their shape is remarkable. After lunch, we’ll drive to the village of San Martino di Castrozza. In the area we have views relatively unknown yet one of the most impressive walls in Europe. Here we also have the chance to combine a river with the mountains as a background for our sunset and sunrise pics. Once back to the apartment, we’ll spend time on personal post processing. During daytime we’ll reach our apartment in Ortisei where we’ll stay for two nights. 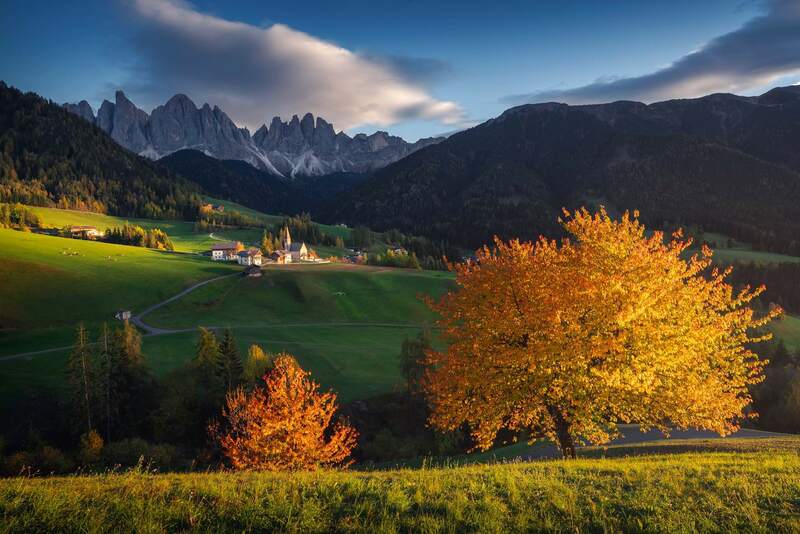 The area is surrounded by some amazing locations, such as Alpe di Siusi and the village of Santa Magdalena. Back to the hotel more time will be spent on personal post processing and then ready to leave for our sunset location: a secret place in Alpe di Siusi. 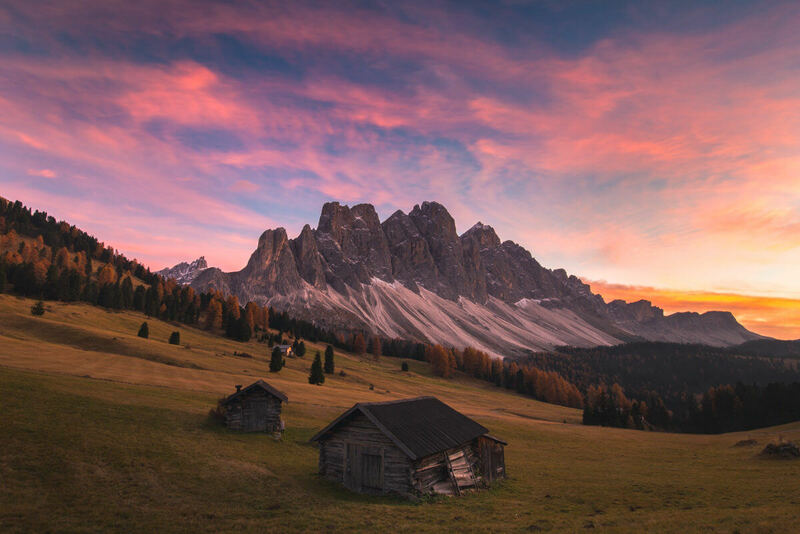 Sunrise will be in Alpe di Siusi again, then we will reach Santa Magdalena and shoot the famous St. Johann church with the impressive Odle mountains in the background. We’ll explore different and secret locations for our compositions. During the evening, we’ll spend extra time on personal post-processing. Day 6 is the last day of our Dolomites photography workshop. After breakfast is time to drive back to the train station or to Venice Airport, this way everyone can decide to fly back home or spend some more time in the area. SEND ME THE FREE BROCHURE FOR THIS TOUR! Born and raised in Italy, Marco Grassi is a self-taught and award-winning photographer focused on landscape photography. 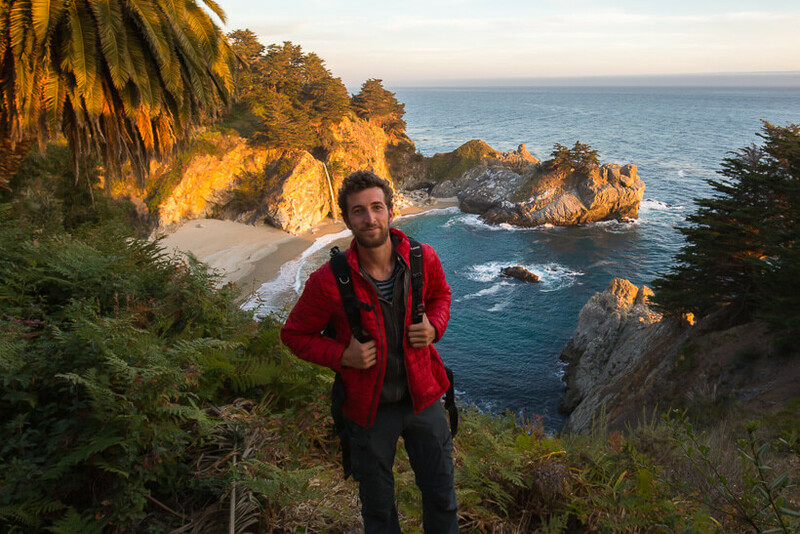 At the young age of 23 Marco has completed his round-the-world trip and today, several countries later, he defines himself as a true travel addict. Marco’s work has been published and rewarded extensively worldwide in a large variety of media outlets, such as the National Geographic and GEO Magazine. Among some of his clients we can find “LEE Filters” and “Hilleberg – The Tentmaker” . His workshops have been designed with the central idea of putting you in the right place at the perfect time and give you plenty of amazing photo opportunities whilst creating a life-changing experience. He will assist you and advise you with valuable photography tips during the whole trip and show you the best photo locations of each destination. 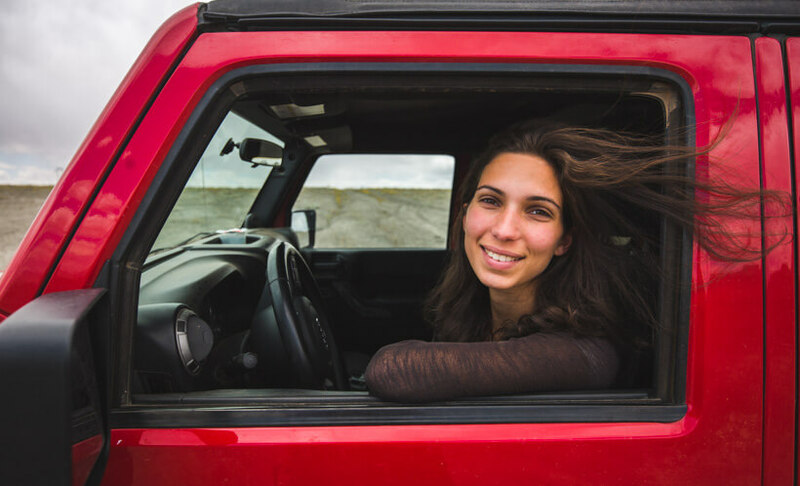 Together with Marco, Jessica has completed a round-the-world trip at the age of 22 and it’s during this trip that she has quickly grown her love for nature and, most of all, mountain landscapes. 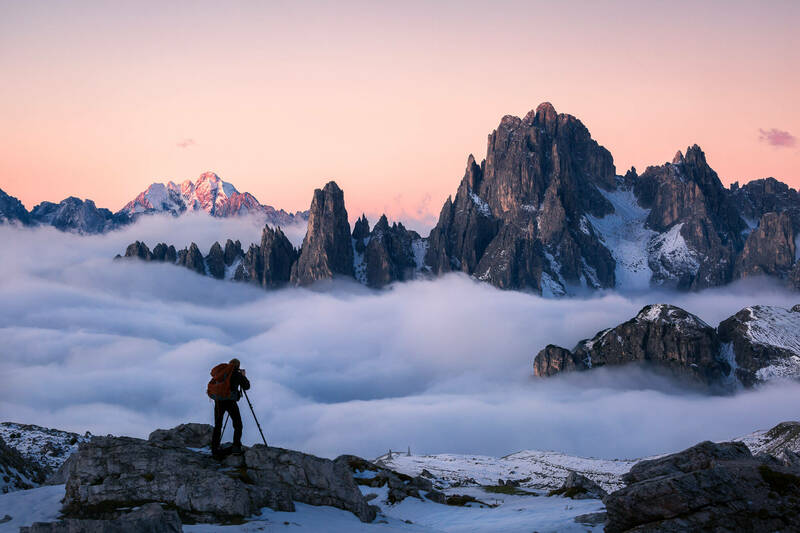 After returning from this journey, they’ve started working on the idea of guiding photography workshops and they now lead together in many different locations such as Patagonia, Dolomites and Faroe Islands. Jessica is the logistical mastermind who develops the visual and written content of marcograssiphotography.com and takes care of all organization aspects of the trips with an accurate attention for all the details. Jessica will assist Marco during this photo tour and she’ll make sure to help you with anything you might need and with any questions/doubts you might have before and during the trip.